Inspired by the renaissance of the small screen brought about by streaming technology, this clever and creative deck will have you binge watching your favorite tarot spreads. 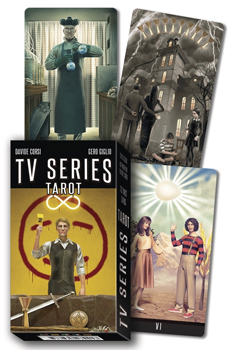 With subtle references to the most iconic shows from television history, TV Series Tarot reimagines classical tarot archetypes using the familiar tropes of modern storytelling. Use this deck to explore the questions and quandaries of everyday life or to find insights into major life decisions... with no commercial interruptions.